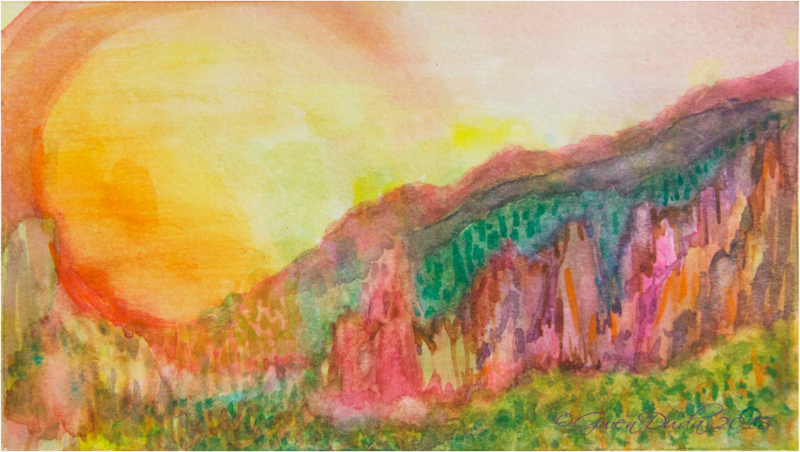 This is a fantastical landscape with amethyst bluffs and mountains, a tangerine-kissed sun overlooking emerald forests where and fuscia-colored falls flow. Done in Winsor-Newton watercolours on 140lb cold-pressed watercolour paper. Signed on front. Size: apprx. 7" x 4"